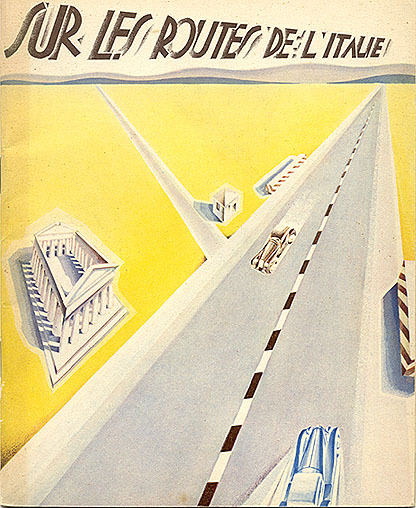 Travel brochure "Sur Les Routes de L'Italie," 1933. Published by the ENIT (Italian State Tourist Department). Designed by the Instituto Geografico de Agostini - Novara.